Customer Acquisition from mobile phones is blooming. Over the past six months, 62% of consumers with a smartphone have completed an online purchase from their mobile devices only from the united states. You shouldn’t jump out of one’s skin reading this. Look around, you’ll find everyone glued to their hands. Smartphones, tablets, are the gadgets where people are surfing and consuming content. So, if your audience is surfing, consuming and shopping on mobile phones, you also need to be there. Accommodate their needs, encourage them, make money. You might be wondering how to do that? How to encourage mobile payments? Don’t worry! I’ve got you covered. 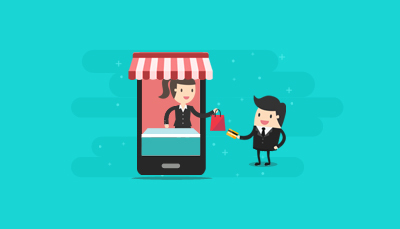 Read the article to know how can you persuade your customers to take a step towards mCommerce. According to hosting facts, an increase in site speed from 8 to 2 seconds can boost your conversion rate by 74% (this is based on data monitoring real user activity from 33 major retailers). 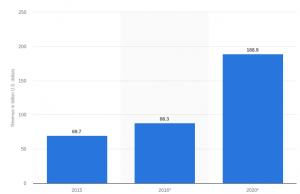 These facts show how important it is to optimize your website for mobile users. Now let me give you a situation. Think about how your current website looks. Now compare your website with a mobile-optimized website. You’ll find much difference both in terms of website design and sales. Take this as an example. In the above example, you can see, the design is seamless; easier to navigate, and comprehend. According to smart insights, mobile apps projected to generate 188.9 billion U.S. dollars in revenues via app stores and in-app advertising. But if you want to boost sales by encouraging sales, you need to have a mobile app. 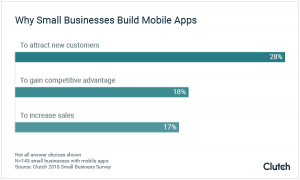 There are top three reasons why small business owners should have a mobile app. One-click checkout is a process which enables customers to make purchases with a single click just by entering the payment details. Amazon is already embracing it. When someone decides to buy from your website, don’t make them travel the whole universe. Come straight to the point. Give an easy checkout process or just one click checkout. Having an efficient checkout process will increase their chance of converting. It is difficult for people to fill the information on mobile and tablets. To buy something, people have to fill name, address, mobile numbers, mode of payment and other important details. But it really gets difficult for them to fill these fields in a 4-inch screen. Eliminate steps which aren’t absolutely necessary to complete the purchase. Each added step will reduce the chances of conversion. If you want to get more sales, you need to improve the experience of your existing customers. Recognize their consumption habits, and adjust your process accordingly. Start by offering a good user experience. Build a mobile-friendly website one offer a one-click checkout. Offer your visitors a personalized shopping experience. Learn from their consuming behavior and based on that give them incentives to entice them to buy. When your strategies are getting the desired results, you can then consider going for a mobile app. Kindly enter your name and valid email to subscribe our weekly newsletter.